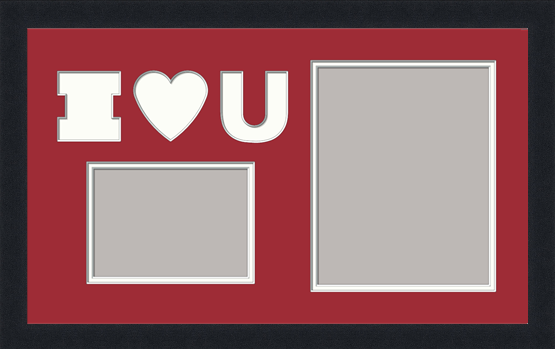 See some of our Valentines Day matboard designs below. We can create any custom design if you send us your ideas! Exactly what I needed at a reasonable price and promptly delivered! Nice job packaging the mats as well! Another beautiful batch of mats and boards. Added presentation sleeves to this order. Three gifts ready to give. I’m delighted. I normally custom cut my own mats but didn't have time to go and find the right color I needed so I checked on line options and was pleasantly surprised at how affordable their custom cut mats are, how easy it was to order which arrived very quickly. They were beautifully packaged so there was no damage to corners. I will be using them again. It came on time was very well packaged and looks beautiful. The ordering process was easy too. Love this company! They helped us through the entire process of measuring our matboards. Great customer service and excellent product!